Tim Hortons, the Canadian based international cafe is a very popular place to get a cup of coffee in the morning. Now you can see what drinks from Tim Hortons contain the most Caffeine per Dollar. 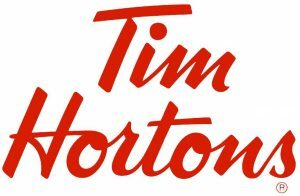 Tim Hortons original coffee, extra large, is the drink is the most efficient and contains the most caffeine for your dollar. At Tim Hortons when looking at efficiency and caffeine per dollar their iced tea and steeped tea are quite a good choice but still aren’t a better deal than freshly brewed coffee. Next time you go to Tim Hortons think of us and order efficiently to get your much needed caffeine without spending too much money. Don’t forget there’s more efficient ways to get your caffeine like brewing it at home. If you are buying food, check out our Tim Hortons Calorie Per Dollar list. If you want to eat for 20$ a week, check out our ultimate Nutrient Per Dollar list.